Day 11. Cast in 10 and 14pt Egmont Light. Printed on 67# Exact Vellum Bristol Natural. More of how the Linotype deals with ligatures on bottom right, notice the Va single matrix. 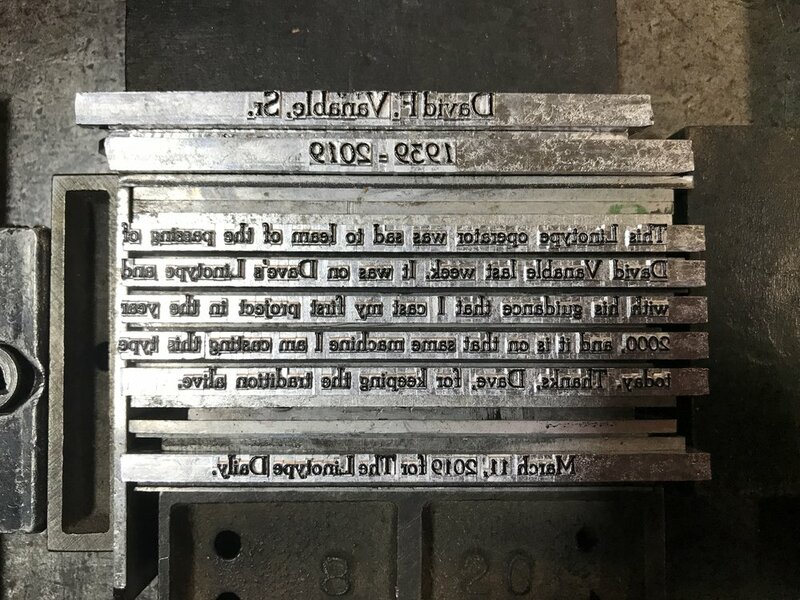 Printed in memory of David Vanable, whose Linotype much of this work is being cast on.